One for the gentlemen: A clip featuring Britt Maren as featured in the Surfing Magazine 2014 Swimsuit Issue. One for the gentlemen: A clip featuring Megan Irminger as featured in the Surfing Magazine 2014 Swimsuit Issue. One for the gentlemen: A clip featuring Rachel Thomas as featured in the Surfing Magazine 2014 Swimsuit Issue. 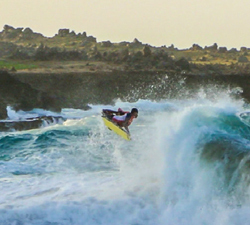 Bodyboarder Jonathan Boekhoudt enjoying the waves around Aruba. Video edited by PJ Productions. PJ Productions brings you another sick video ,this time of young Aruban bodyboarder Marco Muscariello.